U-shaped with the head facing backwards. 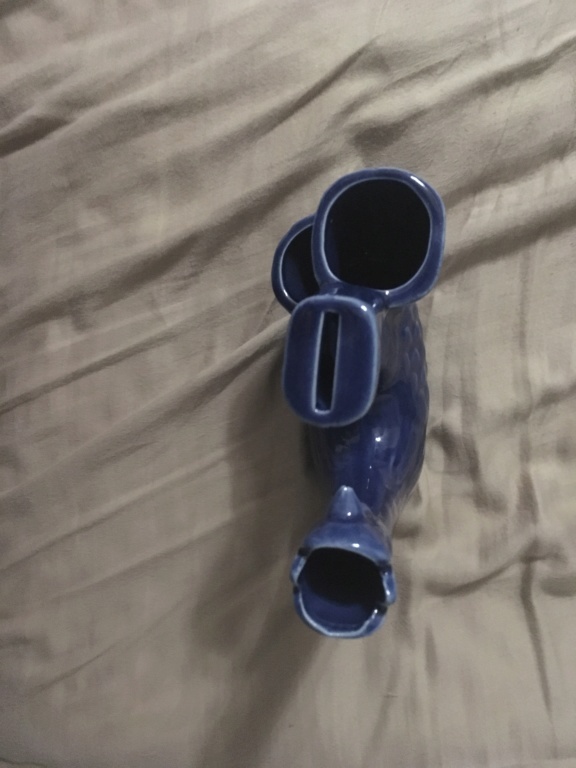 I initially thought it was a vase, but it has a slit in the top that makes me think maybe it is intended to be a utensil holder or piggy bank. 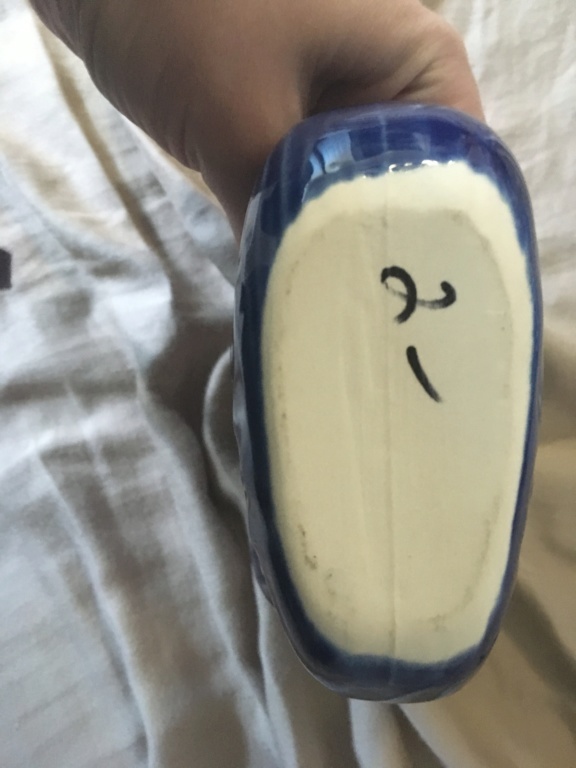 The bottom is unmarked. 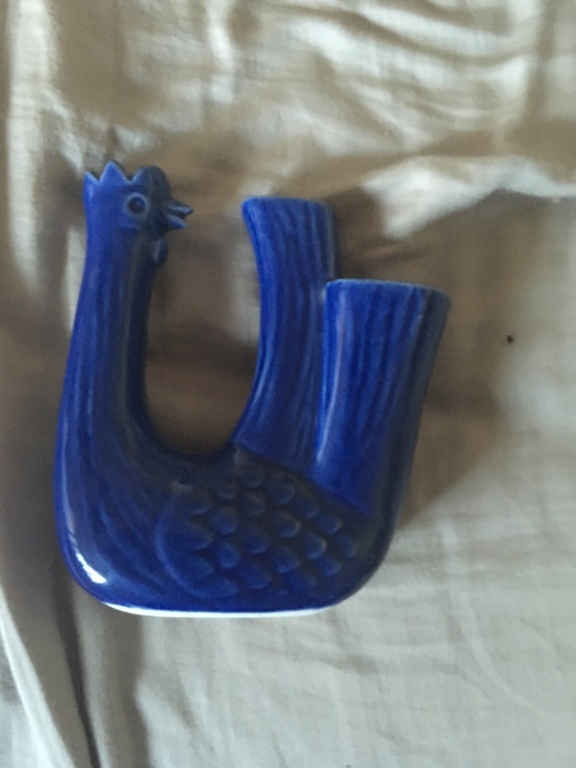 Any ideas on the maker or purpose? Thanks in advance.